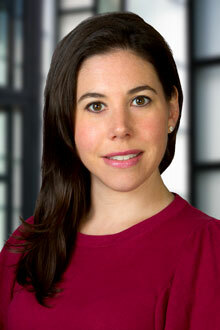 Lauren Shapiro is a partner in the San Francisco office of Lewis Brisbois and a member of the General Liability Practice. Ms. Shapiro is experienced in defending a wide range of business entities in both state and federal court. Recently, Ms. Shapiro has devoted a significant portion of her practice to defending and advising technology companies in the ridesharing and crowdsourcing industries in cases involving automobile accidents and catastrophic injuries. Ms. Shapiro regularly handles significant personal injury matters including wrongful death, quadriplegia, amputation and traumatic brain injury. Ms. Shapiro also has extensive experience in litigating complex multi-party actions, automobile/trucking accidents, premises liability claims, products liability claims, toxic tort claims, and construction site accidents. She is also frequently called upon to defend national hospitality entities, retailers, colleges, and universities. Ms. Shapiro is a trial lawyer. She has worked on cases through all phases of litigation including jury trials on both the state and federal levels and has participated in all forms of alternative dispute resolution. She frequently arbitrates and mediates cases with successful results. Additionally, Ms. Shapiro is often called upon to provide comprehensive analysis of pre-litigation incidents and evaluation for potential risk. Nazzak v. The Macerich Company, et al.